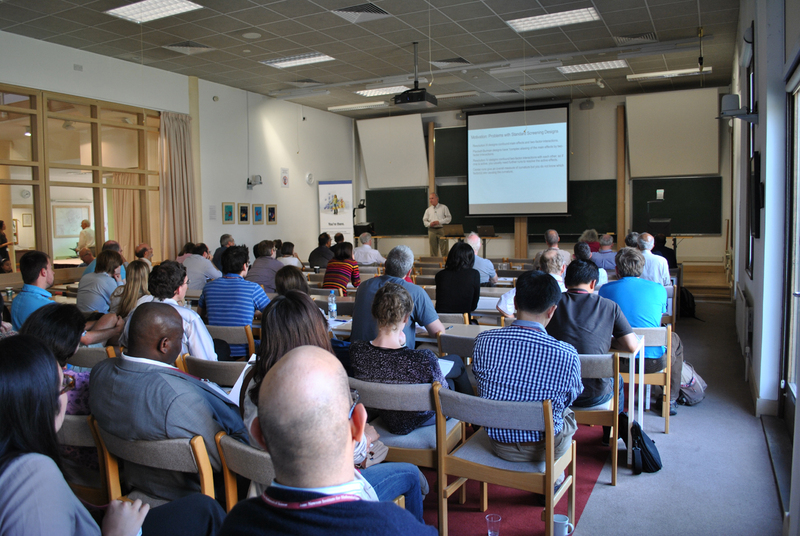 Beginning today, the Isaac Newton Institute for Mathematical Sciences in Cambridge, UK, is hosting a workshop on recent advances in methods and applications of designed experiments. Naturally, JMP, which is so strong in design of experiments (DOE), is there -- represented by Bradley Jones, DOE expert and Principal Research Fellow at JMP. 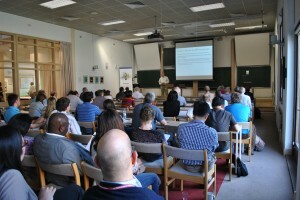 DEMA 2011, as the workshop is known, brings together researchers and practitioners to exchange new ideas on the design and analysis of experiments. Organizers David Woods and Stefanie Biedermann, both from the University of Southampton, explain that DEMA emphasizes both methodology and application areas, and it appeals to scientists and engineers who use experiments, and to statisticians. DEMA 2011 consists of a number of invited presentations from international speakers, as well as talks and posters. Workshop participants are from academia and industry, including the pharmaceutical and chemical industries. Jones is presenting an invited talk on his recent research on screening experiments. 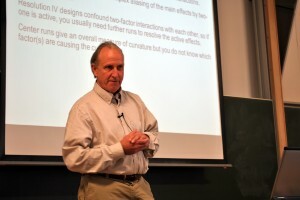 Jones was chosen as a presenter because "he has produced a body of influential work on screening experiments and by making the methods accessible through JMP, is being instrumental in getting them taken up by industry," says Biedermann. Jones is involved in other aspects of DEMA, too. "As an expert in a number of areas of design of experiments, he will also contribute to discussions and, informally, have a role mentoring younger researchers," Woods says. Woods continues that industry is particularly interested in screening experiments, in which a small number of runs is used to investigate a large number of factors. Because screening designs reduce the size of performed experiments, the economic benefits can be substantial. Plus, he says, "Brad's talks are always accessible, with examples in JMP at the fore, and have something for everyone, including researchers and practitioners." Biedermann is pleased that Jones is in the conference lineup. "Brad has made important contributions to a range of areas, including screening, design for nonlinear models and marketing experiments. His new book, Optimal Design of Experiments: A Case Study Approach, co-authored with Peter Goos, is a great addition to the field and has a unique style that should particularly appeal to applied statisticians and practitioners," she says.